When visiting Vienna, be sure to leave ample time for eating cake in the city’s old town, Innere Stadt. As you wander down Vienna’s grand boulevards and charming pedestrian walkways, along the Ringstraße and the Danube, you’ll find dozens of tempting cafes and sweet shops. 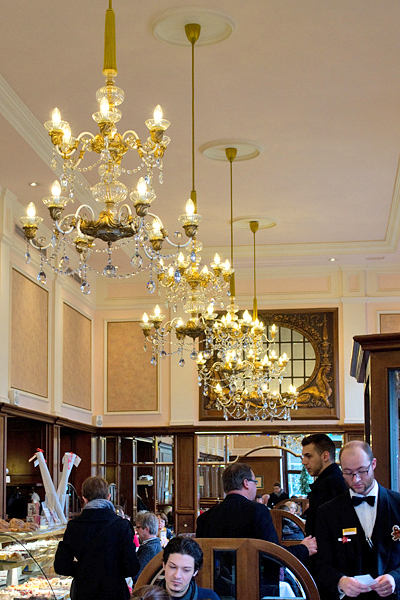 The good news is that the best Konditoreien offer tantalizing gluten-free sweets in their chandeliered dining rooms or to go. 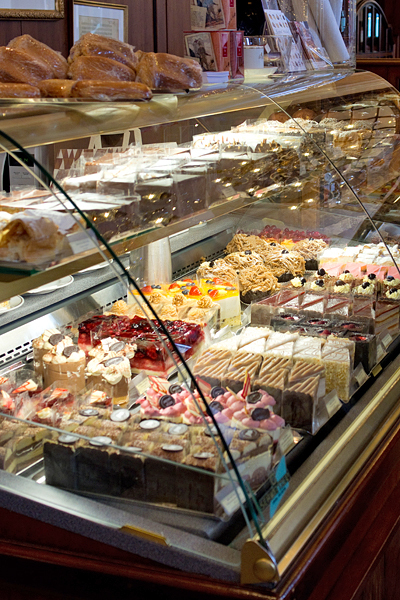 At Café Mozart gluten-free cakes are particularly exceptional. Café Mozart is a wonderful place to start. Just steps from the Albertina, the Burggarten, and the Opera, it’s ideally located right off the Opernring. Snag a table if you can, so that you can fully take in the opulence, enjoy yourself under the chandeliers, and be served by a tuxedoed waiter. Don’t forget to peruse the case filled with cakes, each helpfully labeled and the gluten-free option specially noted. 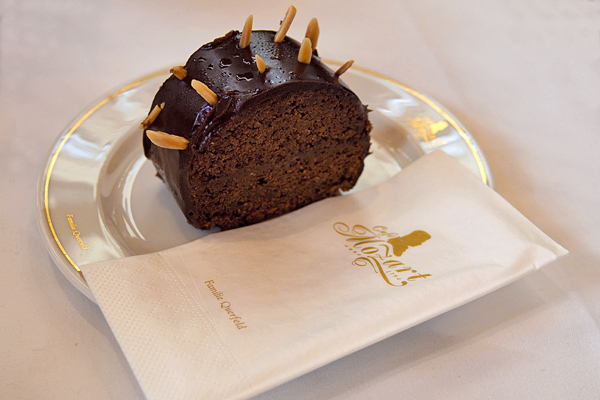 Order the Rehrücken, Café Mozart’s regularly offered gluten-free cake. Chocolate cake covered with chocolate glaze and studded with almond slivers, this cake is both densely rich and quite delicate. Enjoyed with a Melange, a traditional Viennese coffee with espresso and steamed milk, Café Mozart’s Rehrücken is a chocolate cake worth the indulgence. Where? 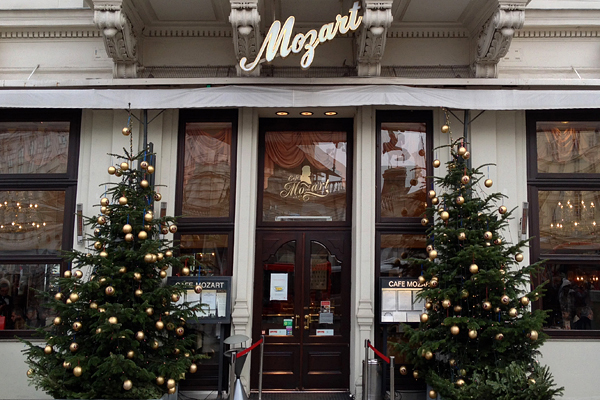 Café Mozart is located in Vienna’s Innere Stadt: Albertinaplatz 2, Wien (+43-1-24100200).